Thanks to the popularity of “The Hills” more and more people have been reading this wonderful little blog. 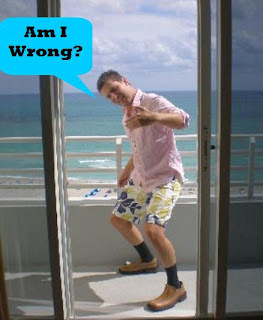 So I figured what better way to welcome some new readers then with the original “Am I Wrong” segment. Once “The Hills” is over, clearly I’m screwed, so maybe this will help to have the people stick around. Also, since The Red Sox were playing again last night, I’m a bit too tired to blog. Enjoy!